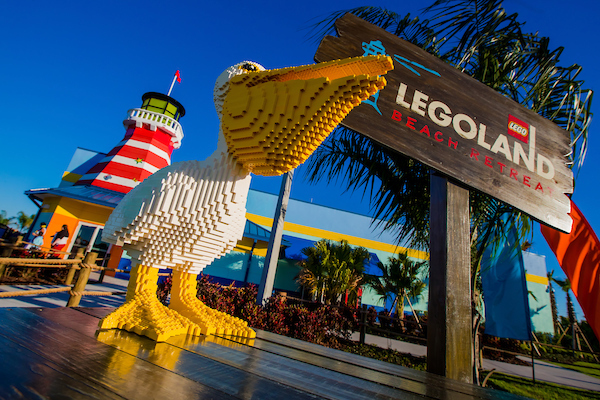 I had the awesome opportunity to preview the new LEGOLAND Beach Retreat at LEGOLAND Florida. 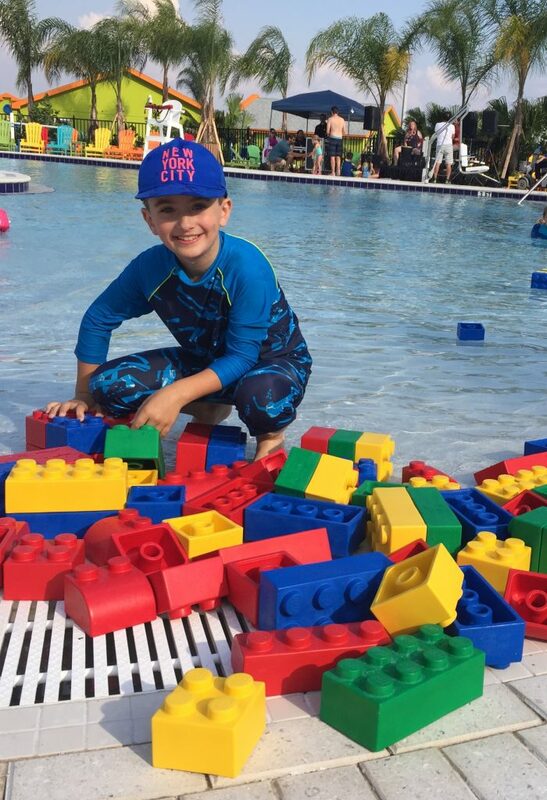 My son is the ultimate LEGO fan and we were so excited to experience the Grand Opening of this family-friendly resort. As you’ll see from the video recap below, LEGOLAND Florida Resort is one of our favorite family fun destinations. My Unboxed Kid is 9 years old and when I say he loves everything LEGO, I mean that it is his thing. He wants to become a master builder when he grows up, he wants to create sets, he wants to teach LEGO classes, and he loves LEGO NINJAGO. Last year, we visited LEGOLAND Florida for the first time, but they were still building LEGO NINJAGO World. We had a blast and you can read my full review of our first visit to LEGOLAND Florida Resort here. Although I knew my kids had a great first visit, I assumed that would be our only visit to LEGOLAND Florida since they are 9 and 5 years old. My assumption was wrong and my son made sure I knew it. When asked to name his favorite vacation spot last year, he emphatically said, “LEGOLAND”! Fast forward to an opportunity not only to visit LEGOLAND again but to stay at the New LEGOLAND Beach Retreat in a LEGO house?! We decided to set out on our “first annual Unboxed Mom and Son Trip”. Traveling together provided us with our own special time and it helped me realize how important it is to reconnect. The plan is to make time for a mom and son trip annually as well as a mom and daughter trip. Driving from Orlando International Airport to the new LEGOLAND Beach Retreat, my son’s energy level rivaled that of the energy found in The LEGO Movie. We can safely say that he was very enthusiastic to “unbox” our very own LEGO beach bungalow. The best way I can describe the LEGOLAND Beach Retreat is a laid-back colorful LEGO brick village for families. Located next to a lake and adjacent to the theme park, there are 83-single story colored LEGO beach bunglows that comfortably sleep up to five guests. A separate area for three kids to sleep comfortably features a bunk bed and trundle bed with a privacy curtain. There is a spacious (huge) main room with a king-size bed, full bathroom, and awesome LEGO theming. Each LEGO beach bungalow has a small picket fence and sitting area, and here is the best part…the LEGO village-style bungalows are grouped into thirteen coves that all feature a center playground area. 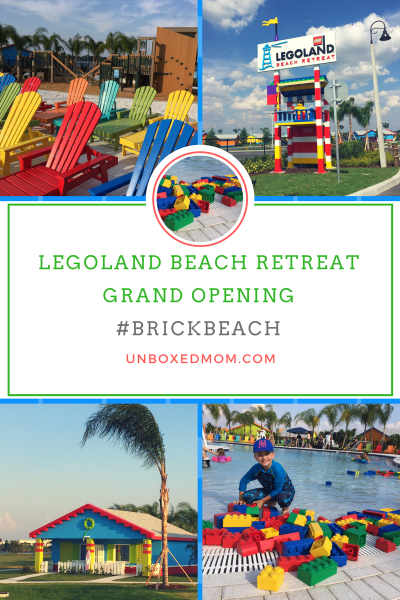 Unlike anything I’ve ever seen before at a family resort, the design of the LEGOLAND Beach Retreat is genius by allowing parents to enjoy shaded bungalow patios while watching kids play in a centrally-located area. Check out our video recap spotlighting these new family-friendly accommodations. When it comes down to it, my son had a blast and I found it to be a relaxing and laid back resort that I could easily see visiting with more family members or friends. 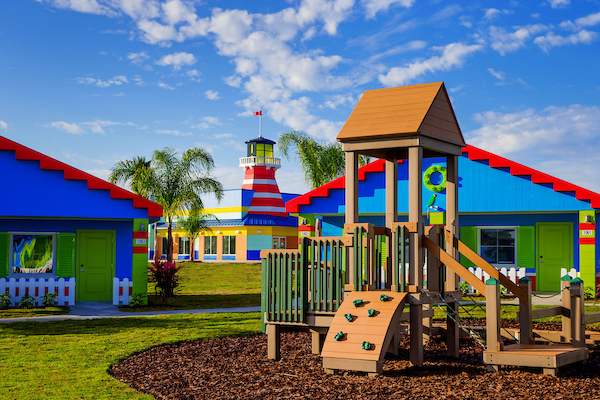 LEGOLAND Beach Retreat is located less than a mile from the theme park entrance. If you’ve never been to LEGOLAND Florida, it’s an easy-to-navigate park featuring over 50 rides, shows, and attractions and has lots of rides for the really little ones. One of the many aspects of LEGO that I love as a parent has been the fascinating way it stimulates a child to use their imagination and strengthens their fine motor skills as they build. My Unboxed Kid loves LEGO Star Wars, NINJAGO, and Nexo Knights. He could not wait to check out LEGO NINJAGO World and it did not disappoint. In our video above, he awards it the Best. Ride. Ever! 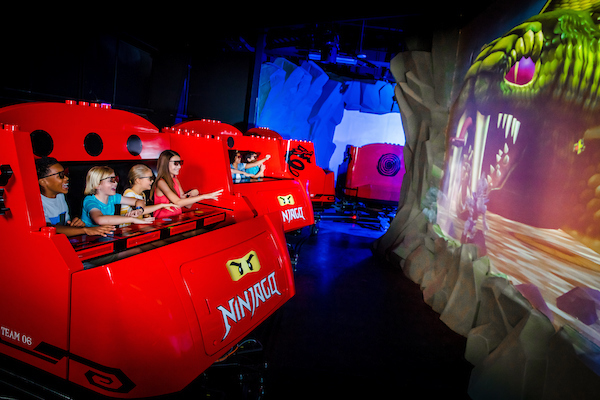 I have to admit, it was totally fun as the ride takes us on a journey trying to score points using ninja hand moves to blast animated fireballs, lightning and more elements at waves of 3D villains. It’s not as fast as Toy Story Mania at Disney’s Hollywood Studios and it certainly seemed appropriate for all ages. I’ve been asked by followers if I’d recommend LEGOLAND Florida and the LEGOLAND Florida Resort and Beach Retreat to all families. My answer along with my son’s is an enthusiastic YES. Understand this is not a theme park that requires more than 2 days at most, and is not nearly the scale and scope of Walt Disney World Resort. It is perfect for a first time theme park experience for little ones and for any LEGO fans. Feel free to reach out to me and ask any questions you may have about the LEGOLAND Beach Retreat! This post was sponsored by LEGOLAND Florida Resort. I received hotel accommodations, meals, and theme park tickets but was not asked to write this post. All opinions are 100% honest and my own.